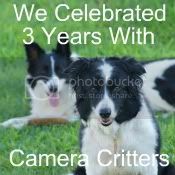 Misty's Musings: Camera-Critters #156 ~ Happy Anniversary! Yes, Alice, just ignore it and maybe it will go away. Beautiful shot of the teals! 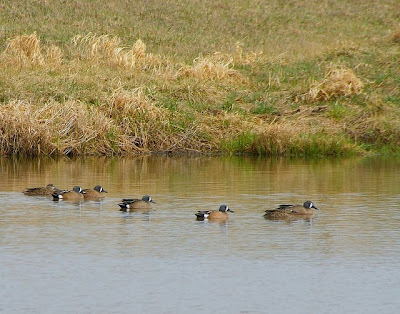 Great to see no ice along with the teals. Boom & Gary of the Vermilon River, Canada. I can feel the spring is coming! Have a nice weekend. Out for a nice, cool swim!